If you've not already watched the video I did for Lecente on their new Fireworks Collection launching shortly, where have you been? (just kidding, click here and it will open a new window for you to watch it.) So alongside those little stunners is this lot, seven more glitters to get excited about and I have made a video to show you them in action at the end of this post. 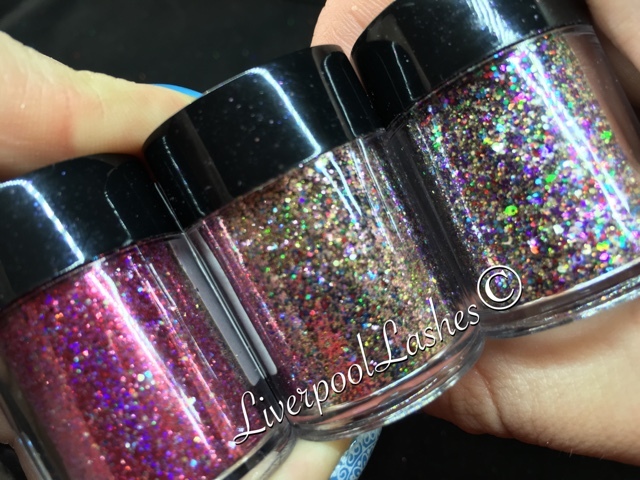 The final glitter is a new 'random glitter' called Crushed Ice which is iridescent flakes with a rainbow effect. 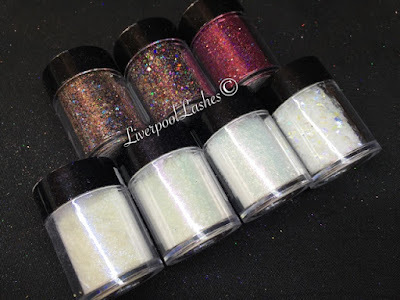 Here's my video showing you all of these glitters in action, I hope you find it useful. Please follow my Facebook Page for future updates and search for me (@liverpoollashes) on Instagram and Twitter.